Nairobi (AFP) - The many ways people have died during South Sudan's two-year civil war are well-documented, but the number killed is unknown. "If we give up on establishing mortality estimates we are, in one way or another, saying that the lives don't really count," he told AFP. Aid workers and officials who did not want to speak on the record said the true figure might be as high as 300,000 -- a figure comparable to the number killed in Syria during five years of fighting. "The level and intensity of violence has been above and beyond what we have seen almost anywhere else," said one worker for an international aid agency which operates in multiple conflict zones, and who asked not to be named. Over 30 aid workers have been killed since war broke out in December 2013. That would include starvation from aid blockades, such as the 40,000 people the UN warned last month were in "catastrophic" conditions -- potentially famine, if the areas were not too dangerous to gather the data needed to declare it -- as well as documented atrocities such as civilians suffocated in shipping containers. Doctors Without Borders (MSF) has warned of "far-reaching consequences for hundreds of thousands of people" with six of its clinics and hospitals attacked, looted or torched -- sometimes repeatedly. In terms of health, easily preventable and treatable malaria has become the biggest killer, according to World Health Organization (WHO) morbidity statistics. The UN says recent malaria levels are "unprecedented" with numbers doubling, even quadrupling in some areas, from previous years. Some figures are clearly documented: 2.3 million people forced from their homes, 6.1 million in need of emergency food aid, 15,000 child soldiers recruited, 200,000 civilians sheltering inside UN 'Protection of Civilians' camps, or the $1.21 billion the UN needs in funding. But deaths go largely unrecorded. "We've lost count," UN peacekeeping chief Herve Ladsous said this month although no one -- including the 14,000-strong UN peacekeeping force -- ever kept a tally. A UN Development Programme (UNDP) survey -- based on over 1,500 interviews across the country -- reported 63 percent had a close family member killed. Other indicators showed 18 percent had a child abducted, 14 percent were tortured, 33 percent had a relative "disappear", 55 percent had their home destroyed, and 48 percent had been sick without medicine. 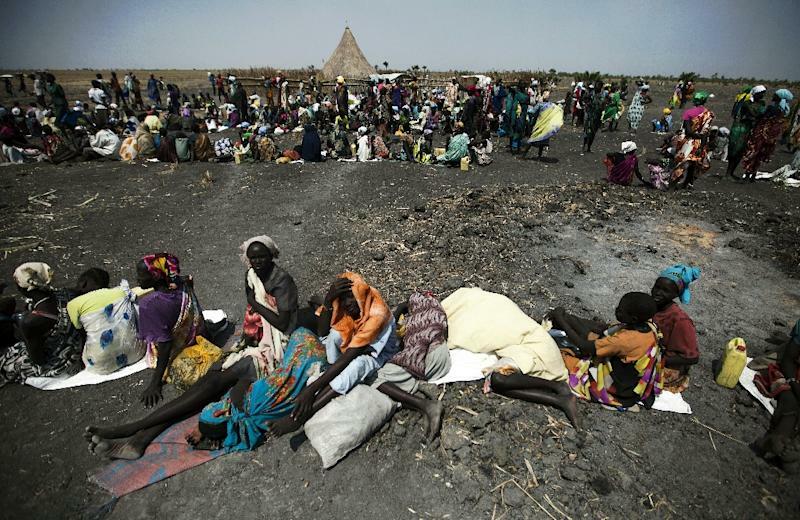 Questionnaires conducted by the South Sudan Law Society (SSLS) in the UN peacekeeping base in the north-eastern town of Malakal -- home to 47,000 people fleeing conflict -- found the number with a relative killed was 77 percent. "These rates are comparable to those found in post-genocide Rwanda, post-genocide Cambodia," the report read. Another UN study in the northern Unity region, described its findings as "shocking": almost three-quarters of deaths recorded were from violence. "Documenting the impact of war is also important for recovery processes, including accountability, reconciliation and healing," the January report read. 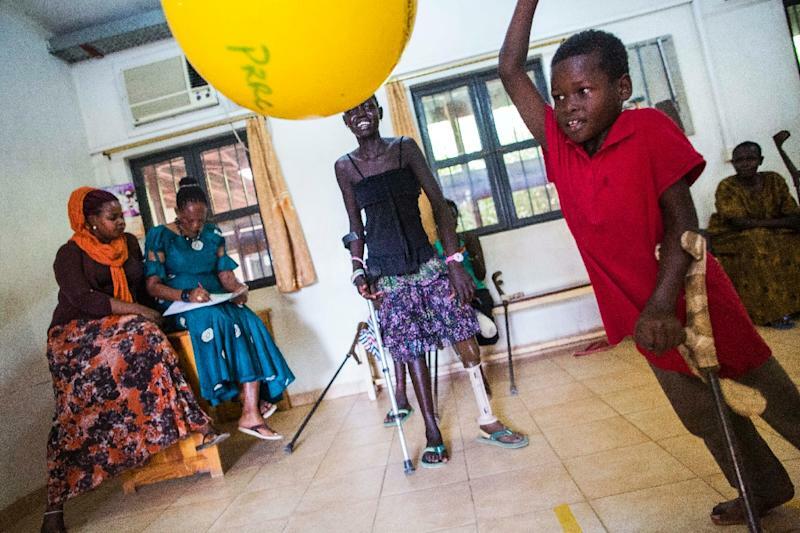 Analysts say the failure to clarify a clear toll dishonours victims, contributes to South Sudan's suffering staying off the international radar and enables impunity for the killers. 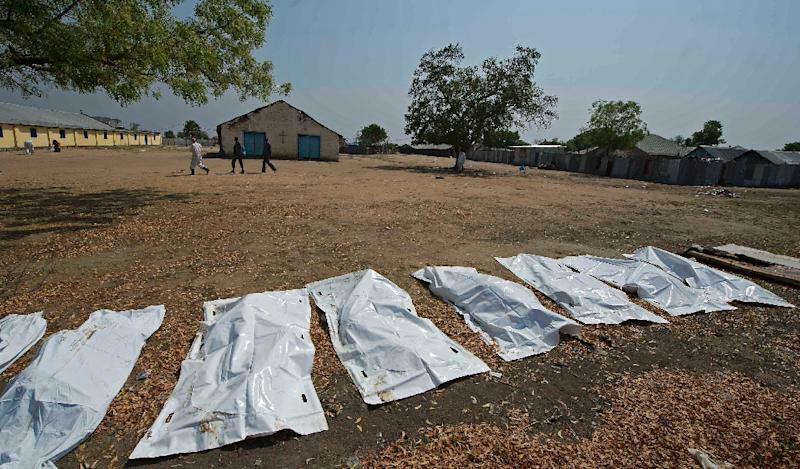 Human Rights Watch, which documented mass graves in the eastern town of Bor in January 2014, warned that, "evidence is literally disappearing into unmarked graves."